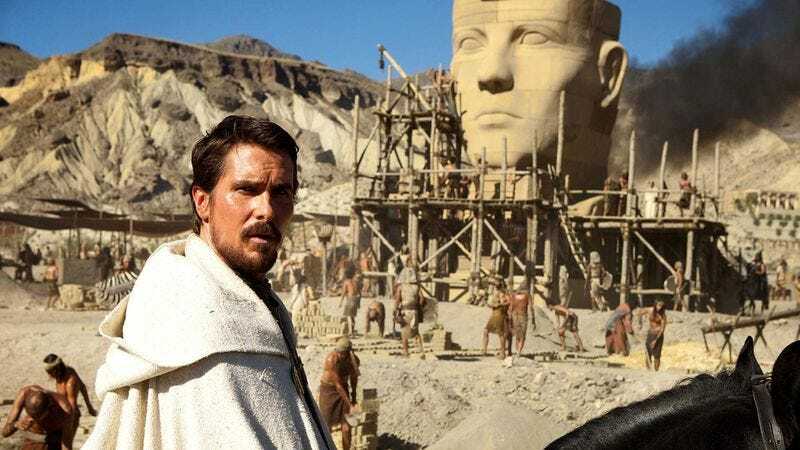 Ridley Scott’s Exodus: Gods And Kings has already been the object of some derision for its curiously Caucasian casting choices, as well as for simply being a ponderous slog of a movie. But neither of those things seemed to bother the governments of Egypt, Morocco, or the United Arab Emirates— or at least, neither was cited as a reason when all three countries banned the film. Morocco and the UAE banned it for “religious mistakes,” including a depiction of God in human form, which is forbidden under Islam. Egypt, on the other hand, objected to “historical inaccuracies” that (how to put this delicately?) basically came down to the film being too heavily weighted on the Jewish side of the story. Egyptian cultural minister Gaber Asfour called Exodus: Gods And Kings “a Zionist film” that “gives a Zionist view of history and contains historical inaccuracies, and that’s why we have decided to ban it.” Specifically, Asfour and his colleagues took issue with the film’s depiction of Jewish slaves building the pyramids, which are currently believed to have been completed around 2450 B.C., hundreds of years before the birth of Abraham. Despite seemingly pleasing no one, Exodus: Gods And Kings made $24.5 million in its opening weekend. So the real losers here are Rupert Murdoch’s white Egyptian friends, who will have to hop on their private planes and abscond to Rome for the weekend to see it.